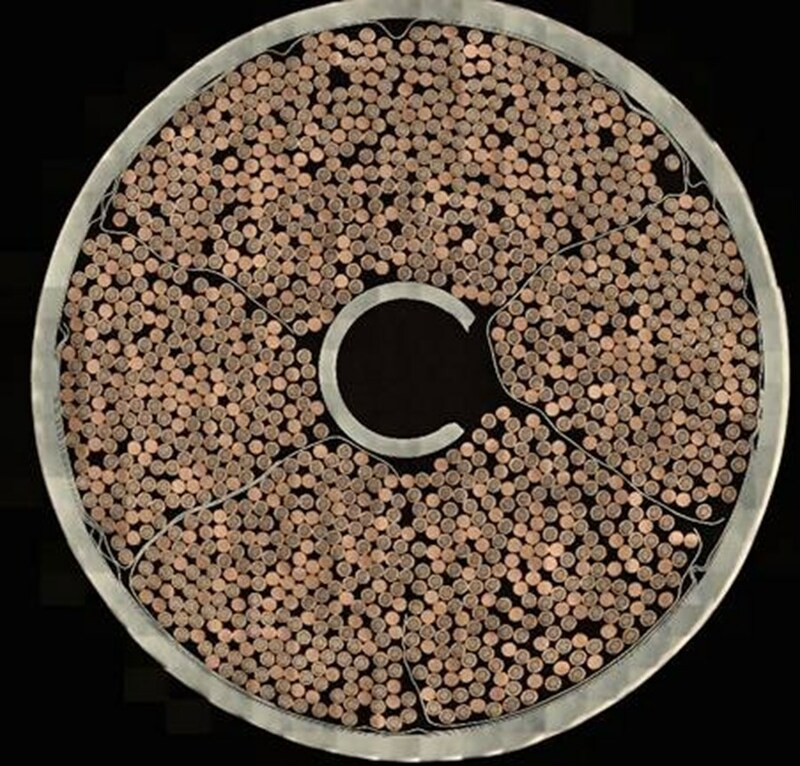 A cross-section of the ITER toroidal field conductor in its austenitic stainless steel jacket (photo courtesy of P. Lee, Florida State University). In June, a contract was signed for the jacketing of the Korean share of the ITER toroidal field conductor cable. The contract, signed between the Korean Domestic Agency (KO-DA) and the Italian Consortium for Applied Superconductivity (ICAS), is for the last step in the manufacturing of the toroidal field conductor before winding. ICAS will fabricate the stainless steel jacket for the toroidal field cable. From 13 metre sections of stainless steel tube, ICAS will fabricate the 415 and 760 metre-long segments required for ITER's toroidal field conductor. 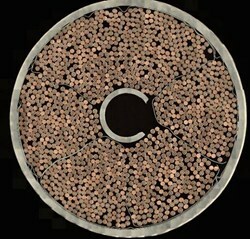 Niobium-tin (Nb3Sn) superconducting cable supplied by KO-DA will be inserted into the tubes, and the two will be compacted together to form the circular cable-in-conduit conductor (CICC) for ITER toroidal field magnets. The contract is the first major instance of direct international cooperation between KO-DA and a non-Korean entity involved in the manufacturing of an ITER procurement item and further exemplifies the collaborative nature of the ITER Project. The contract between KO-DA and ICAS will cover all of the ITER toroidal field conductor allocated to KO-DA (1 x 760 m dummy conductor, 1 x 100 m superconducting conductor, 19 x 760 m superconducting conductors, and 8 x 415 m superconducting conductors) and is expected to last for three years.